Fruit, flowers, and high tea. Sign us up! Exploring a new country is always a memorable experience, but doing so with your best friends and bandmates is guaranteed to be a kickass time. One of our favorite emerging acts from NYC, Fruit & Flowers, recently set sail for the UK for the first time, where they hit the stage at a dozen venues in cities like Leeds, Worcester, Brighton, and London. Luckily for us, the surf noir four-piece documented their travels in an epic recap vid, which includes hotel hangs, onstage debauchery, rides through the countryside (so. many. sheep), and, yes, bar fights. 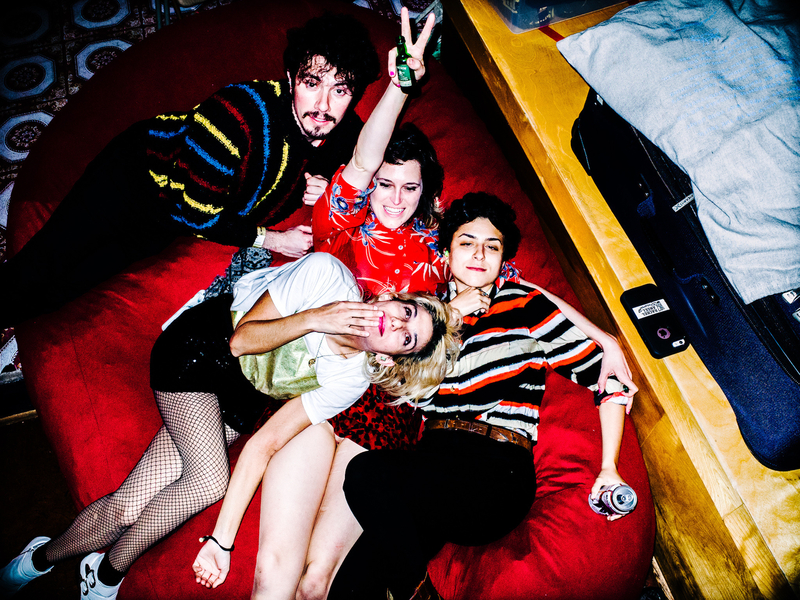 Check out how the band—Caroline(bass/lead vox), Ana (lead guitar/vox), Rachel (rhythm guitar/vox), Jose (Drums)—lived their best life across the pond below, then click here to listen to their debut EP, Drug Tax!